As a kid, I remember growing up in Laie and seeing the long stalks of sugar cane growing in clumps here and there. My dad would take his machete and chop one down with a single swipe. He’d pull off the blade like leaves and then take his pocket knife and whittle off the the hard skin of the stalk. What was left was a juicy core that he’d cut into sticks. He would place one in his mouth and chew it to show us kids how to get the sweet juices from it. I had great memories of these days of spending time with him on the farm and learning about my family’s history that was started in the sugar plantations on the Big Island. Those plantations are gone but the life lessons taught there live on in me. My great grandparents came to Hawaii with nothing but hope. 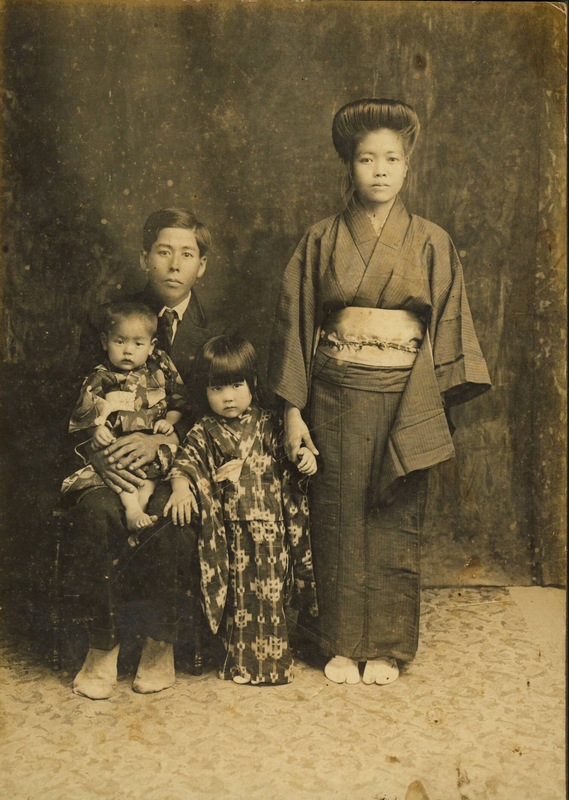 They chose to leave the comforts of Okinawa, Japan, and China to find a better life. It was not only a better life for themselves but a better life for their families. Many of us locals share this same story. I don’t know whether or not I want to cry or scream today. I’m mad and sad at the same time. With the news that HC&S ceasing its sugar cane harvests by the end 2016 and Richard Ha ending his banana farm, my heart is broken. Agriculture was the basis of Hawaii and two long time farms are going to be but a memory. Hawaii’s beauty has been sold to millions around the world. So many people come here and fall in love with our home, our place where hope and opportunity existed. These folks have decided to make this their home and have no ties to the small kid time memories the local people share. The plantation is where many people learned the value of working together and sharing each other’s culture. It’s of no surprise that so many locals are of mixed ancestry as a result of this unique melting pot. Hawaii is a great example of how different people from all of the world came together and created their own culture. People from all over continue to come to our islands but don’t share that roots that we know and love. The sad thing is that they become so caught up with the beauty of our land and forget about the story of the people who lived here. Their stories and lives are forgotten and unappreciated. I know my roots and where I came from. It is this story that guides my life and keeps me on a track to perpetuate these lessons in my children. I sometimes wonder if this new everything aina movement is yet a new culture of people who have taken these terms too literally or have forgotten their family stories. They find comraderie among each other at every protest but really have no guiding principles or real vision other than malama the aina. Once the aina is abandoned by the perceived evil, what is the thing they give back to replace it? Sadly, when one’s roots don’t run deep or a story is forgotten, thinking about the consequences of their actions is secondary. When tractors are set ablaze and property is damaged, none of these people ever condemn these actions. It’s simply ignore and never mentioned. When jobs are lost, there is no shred of compassion in their heart so. This is not local style at all. There is no responsibility taken by the leadership of this movement either. That example sets a bad precedent for the followers that it’s not their fault for contributing to these actions. An attitude of irresponsibility puts us all in danger if there is no consideration of others. There also is a clear lacking of collaboration being fostered in the community. There’s so much talk about sustainability in Hawaii yet there is no action to actually show it. We cannot last as an island state when fear and a lack of accountability becomes acceptable behavior. Fearing education and calling science propaganda is another sign of a society losing its vision. We can’t survive if the loudest, most misinformed people dictate poor policy and takes away the jobs that feed and house families. There’s too much taking happening and no one looking out for our local families. Hawaii knows what’s best for its people and its those voices heard. Not the Ashley Lukens from Tennesee or the Nomi Carmona’s from California. They don’t know the roots of the local people or appreciate our heritage. They are mainlanders out to take away livelihoods and make our local people leave the islands in hope for a better life. Hawaii isn’t the paradise for locals but a tired, draining, living hell without a job to feed a family and keep a roof over their heads. We need hope and a vision. Instead of aloha aina, how about aloha for the kamaaina? I follow your page but seldom join in the conversation because I feel that the more cynical reader may think that comments from a mainlander are not particularly relevant. Today I want to let you know that I share your sadness and disappointment. My family farms in Illinois and has been blessed with the opportunity to visit Hawaii many times. Our first visit almost two decades ago was to one of the more ‘touristy’ islands. It left us captivated by its tropical beauty and climate…so different from ours at home. If we were pressed to tell of any disappointment in that experience, it would have been the press of the crowds and the traffic jams we encountered. When another opportinity to visit arose a couple of years later, a friend suggested we visit Kauai because the lifestyle there was more like our rural home. We fell absolutely in love with the island for that very reason! It felt like home…if home had palm trees instead of oaks and ocean shorelines with breaching whales and dolphins instead of ponds full of bluegill. We found it easy to strike up conversations with people involved in agriculture because of our common experiences: concern about the weather, crop pressure from pests, viruses and mildew, frustration with equipment failure, and the success stories of bountiful harvests and the satisfaction of hard work that leaves you feeling tired and with a sense of accomplishment all at once. Over the years and several more trips to the island to visit friends and family, most of whom work in agriculture, we have watched with interest the push and pull of influences that affect their livelyhoods. So, this is why I can say I share in your sadness. You are so right-as more and more people come to expect a constant supply of nutritious affordable food but have little or no connection to its production, they lose sight of the faces of the people who farm for a living. What will these farmers do to provide for their families if they cannot farm? Will they be forced to move away? Will they have to find jobs in other sectors? Will beautiful, verdant agricultural islands become a crowded resort with most economic opportunities centered around tourism? I hope and pray that soon the influences that have forgotten the faces of the farming community will remember that, at the very heart of these actions, people are the resource that is most acutely endangered. Thank you for sharing your family’s stories. Please don’t give up hope!